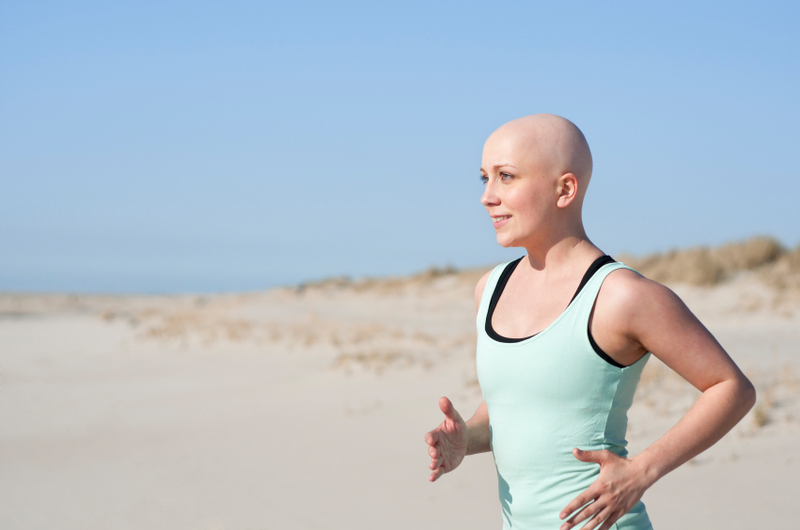 Having cancer is one of the most stressful situations you’re likely to face. You’re probably still reeling from the diagnosis when you’re facing chemotherapy, and it’s natural to feel anxious. Chemotherapy is often effective at treating cancer but it does cause side effects. The medicines used in the treatment can have a poisonous effect on the body because they can’t distinguish between cancer cells and other cells such as blood cells, skin cells and the cells inside the stomach. Side effects can include feeling tired and weak all the time, feeling and being sick and hair loss. Some people only have minimal side effects, but for most people, a course of chemotherapy can be unpleasant. However it’s important to realise that most, if not all, side effects will disappear once the treatment is complete. If you’re tired and lacking in appetite, big meals may become a problem – you may find it easier to graze on foods that pack a lot of energy into a tiny nibble. Honey, plain nuts, cream and ice cream come into their own now as never before. The gym may be tiring and expose you to other people’s bugs, but going for nice walks, dancing, or doing some gentle gardening will stretch your muscles, get the blood pumping around your body and also boost your mood. If you’re given steroids, take them early in the day to avoid them keeping you awake at night. The odd catnap can help you catch up with lost sleep if you’re tired, but don’t get into the habit of sleeping too long during the day or you’ll wreck your chances of a good night’s sleep. Studies suggest some complementary therapies may help ease physical and emotional symptoms. When combined with conventional medicine, complementary therapies may offer a more integrated approach to healing. Fair pain, try acupuncture, hypnosis and massage. Nausea may be eased by acupuncture, aromatherapy, hypnosis and shiatsu. For fatigue, mediation, reiki, Tai Chi and yoga may help. You may find coping with cancer and chemotherapy can make you feel anxious, afraid or even depressed. Chemotherapy and other cancer treatments make the disease real. To help manage any chemotherapy fears you may have, first figure out what your fears are. Are you afraid of side effects such as nausea, pain or fatigue? Are you afraid of losing your hair? Do you have financial worries about how long you’ll be away from work? Talk about your specific fears with your friends, family, doctors and nurses, or find a counsellor who specialises in helping cancer patients. A support group may also be helpful. Allow yourself to cry if you want to. Sometimes there’s too much expectation for people to ‘just get on with it’ – we hear and see the term ‘battle’ and ‘survivor’ when we talk about cancer. There’s the danger sufferers feel they must be strong and suffer in silence, but it’s natural to feel scared and afraid. It’s important to try to switch off from what you’re going through and try to enjoy life when you can. Of course feeling low and sick from treatment can make this challenging, but try to take advantage of good days. Calling a good friend, watching a feel-good movie, enjoying a relaxing bath and spending time cuddling a pet can all release endorphins. Cry when you want to, but equally, try to smile and laugh – even if it’s forced at first it could make you feel good.